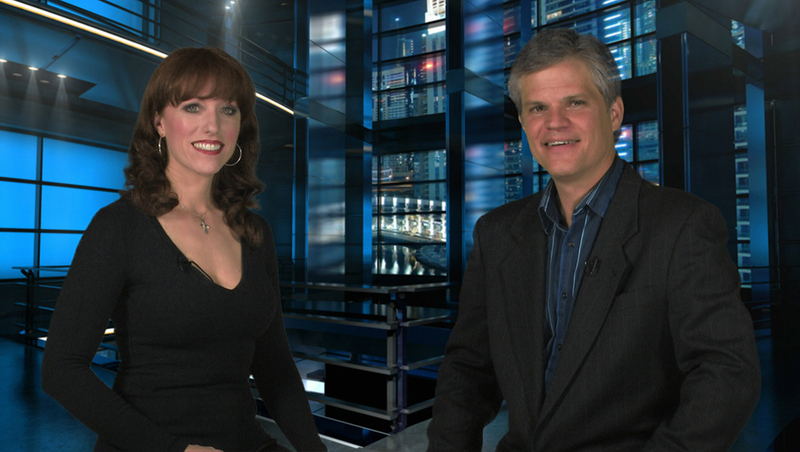 TriCaster TC1 - Nelco Media, Inc. The One You’ve Been Waiting For. Complete Production. Like Never Before. 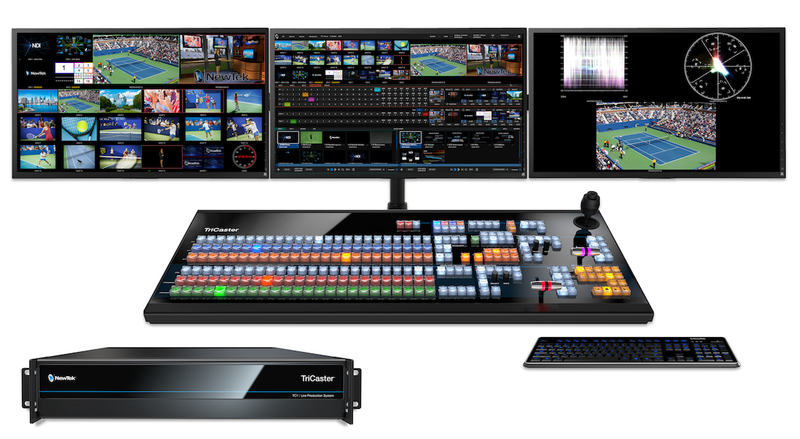 The most complete production system available today, TriCaster TC1 represents the continued innovation of the iconic product that defined an industry. Designed with the way you work in mind and equipped with hundreds of advanced production capabilities, it has everything you need to do video your way today—and tomorrow. When you’re confident in what you’re doing, it shows. 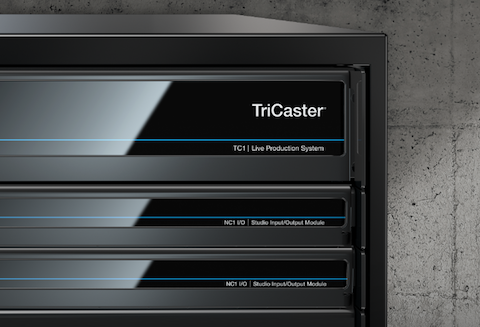 With TriCaster TC1, you have the proven workflows you know and the future-proof production you covet. The bottom line is being able to do production the way you need to right now and the way you want to when you are ready. No decks needed—just add your files with two built-in video servers for on-demand and automated playback, including auto-advancing playlists, on-cue instant replay, live-edited highlight reels, and much more. With responsive player controls, presets, real-time editing tools, selectable transitions, and playlist effects, you have everything needed to make magic from your stored media. Real 4K Ultra HD. No Compromise. Present your audience with an immersive viewing experience defined by amazing clarity and incredible detail. Produce programs, performances, events and live sports in true 4K UHD (Ultra High Definition) resolution with support for native 2160p video at 60 frames per second. 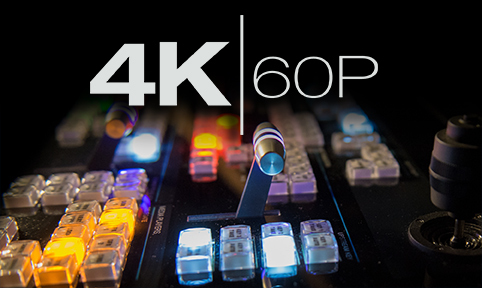 Unlike other products that promise 4K UHD, only TriCaster TC1 allows you to switch, stream and record 4K UHD video without compromising the frame rate or the number of available inputs. Viewers have their choice of devices. You should have options, too. 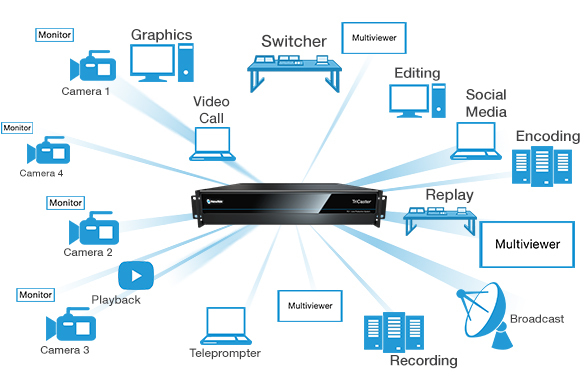 With 36 source channels, including 16 external inputs, you can easily create compelling content using any combination of compatible video sources, including 3G-SDI, HD-SDI and PTZ cameras, mobile devices, Skype TX video calls, computers, gaming systems, streaming media, video files, graphics, images, animations and more. 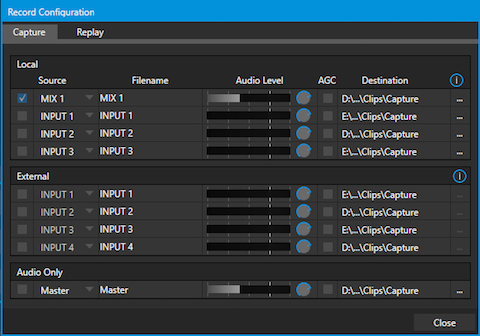 Capture all the angles, record multiple channels of full-resolution video to QuickTime® or H.264 files. From archiving the master cut for your content library, to ingesting the raw camera footage for post-production, to caching production extras and presentation materials for on-demand—even capturing real-time highlights for instant replay—TriCaster TC1 easily handles the work of multiple professional decks without the added expense. Conduct a live Skype video call with any remote guest, anywhere in the world. 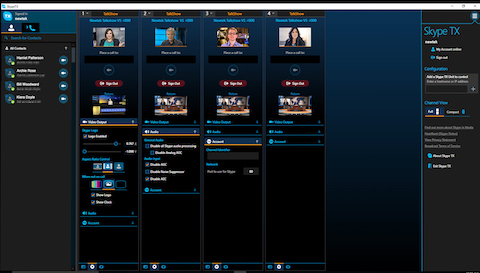 TriCaster TC1 is the only video production system to feature direct Skype TX software integration. The studio-grade version of the popular app, Skype TX enhances the real-time interaction with broadcast-quality video and balanced audio, allowing you to present production-ready conversations, interviews, reports, and more—regardless of the caller’s device. Stream live to your choice of new media platforms, including user-friendly presets for Facebook Live, Microsoft® Azure®, Periscope, Twitch, YouTube™ Live, and more. With two streaming encoders included, you can easily deliver platform-specific content, while opening up new sponsorship and revenue opportunities. Share real-time updates and on-demand content across your social media accounts, uploading images and video directly to Facebook, Imgur, LinkedIn, Twitter, Vimeo, YouTube and more—complete with comments and hashtags. Plus, with integrated DataLink™, you can add posts and photos from your social networks in on-screen graphics for a truly interactive experience. TriCaster TC1 is designed to suit the operator and environment for any production. 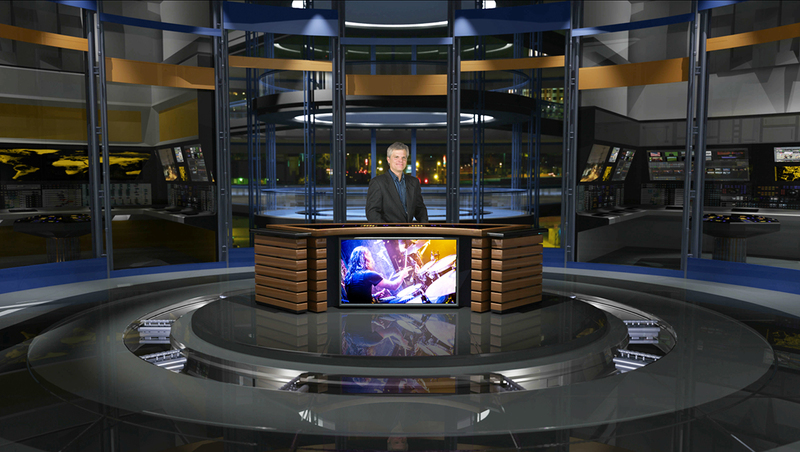 With TriCaster TC1, you have the tools to turn every frame of video into an artistic masterpiece. 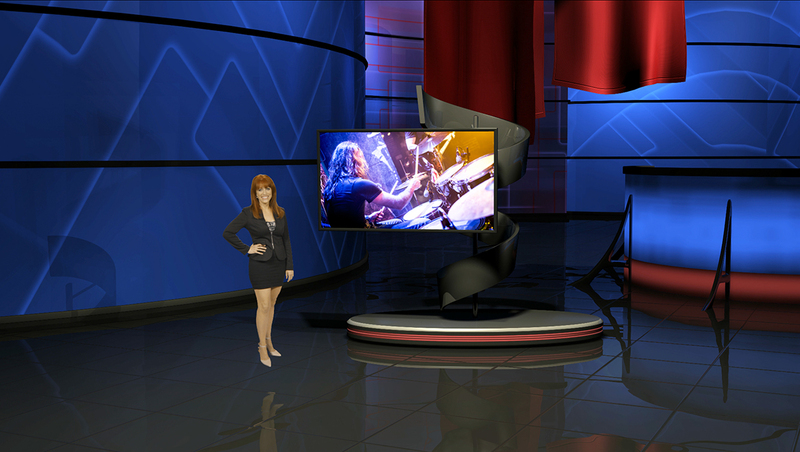 Consider the screen a blank canvas and unleash your inner artist with multi-bus mix effects, zero-latency video re-entry, real-time animated titles, data-driven graphics, custom animated transitions, a full-motion composition engine, and more. Let your imagination run wild. 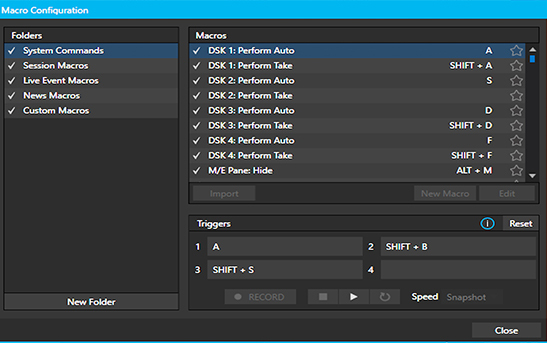 Experience new levels of efficiency and productivity with a comprehensive macro automation system that allows you to record, store, edit, and automate your favorite settings and custom command sequences. You can even choose to run macros manually from any combination of compatible control interfaces—or set TriCaster TC1 to perform actions automatically. See everything happening during your production with fully adjustable single-screen or multi-screen monitoring. 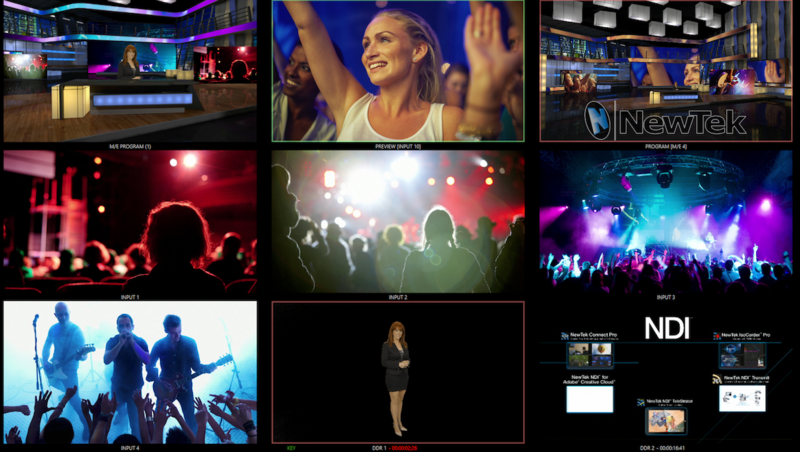 With three customizable multiviewers, configurable windows and workspace layouts, operator confidence monitors, visual indicators, scopes, and more, you can easily personalize the TriCaster TC1 environment to your preference. 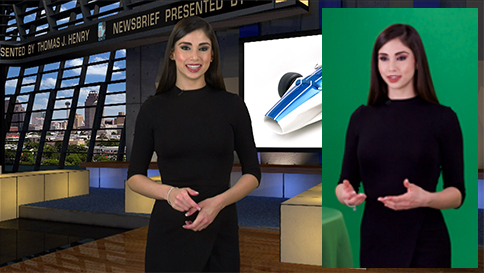 Think outside the box with real-time keying so crisp and clean, your viewers will never believe it’s green screen. 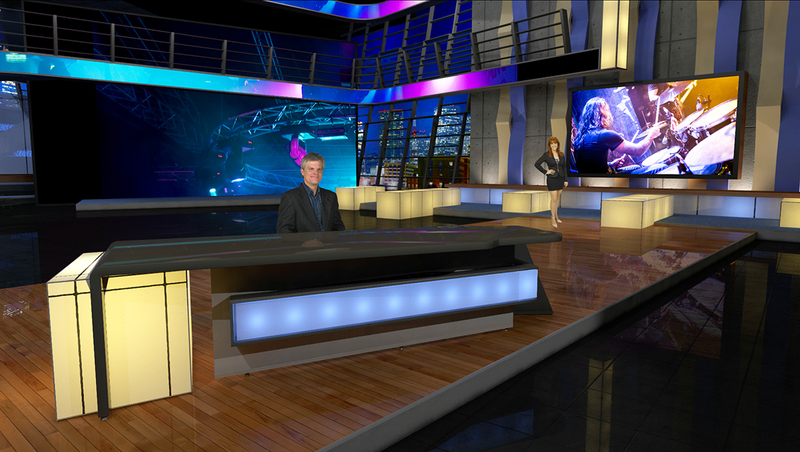 With NewTek’s powerful LiveMatte™technology built into every source channel and M/E, you have 40 fully configurable keyers to create composite scenes from live video, graphics and virtual sets for reports, presentations, demonstrations, and more. Perfect your presentation with configurable color correction tools, 3D object positioning, and smooth-edge cropping. Apply picture-in-picture effects with optional borders. Use key and fill to produce new composite scenes from different foreground and background elements. Even map live video to moving props and set pieces with real-time motion tracking. And so much more. Save on studio and set expenses without sacrificing production value. 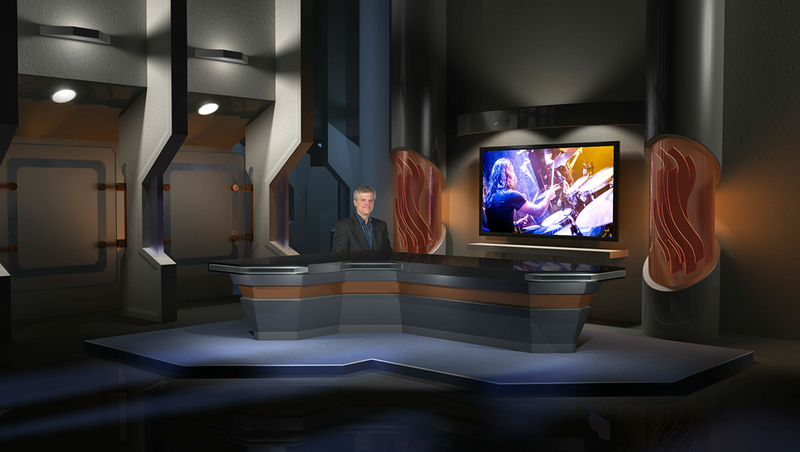 With integrated LiveSet™ technology, TriCaster TC1 can transport your talent into professionally-designed virtual environments, complete with multiple angles, virtual camera movements, real-time reflections, specular highlights, animated lens flares and stunning augmented reality effects that blur the line between virtual and reality. Select from more than 30 included virtual sets, purchase your choice of premium ready-made sets, or create endless custom environments with the optional Virtual Set Editor software (sold separately). Design the multi-source, multi-system, and multi-site productions you’ve always wanted. 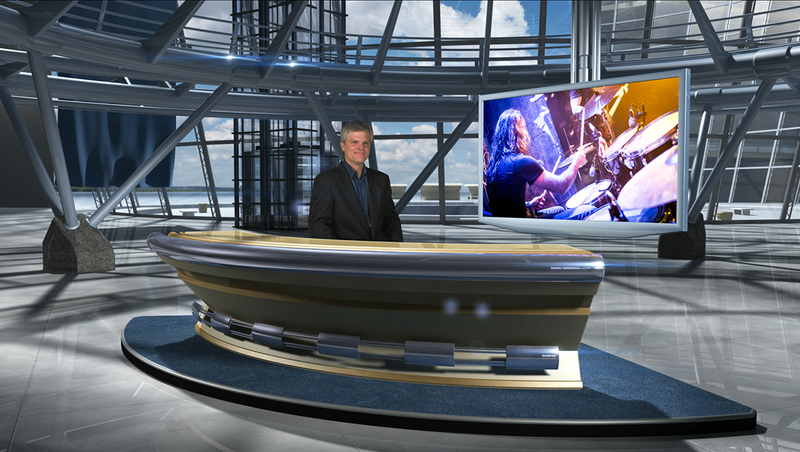 When you combine NewTek Connect solutions with TriCaster TC1, you can capitalize on even more opportunities—connecting technologies, linking locations, and introducing additional capabilities to customize your entire workflow to your needs. You don’t work in a silo. Neither should your equipment. 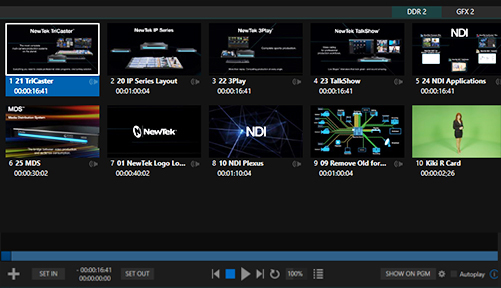 With native integration of NDI™, NewTek’s innovative Network Device Interface technology, TriCaster TC1 connects to the most prolific IP-based workflow in the industry right out of the box, networking seamlessly with compatible products from hundreds of manufacturers and developers. for the modern producer, publisher, and content creator.